THE BIGGEST INTERNATIONAL COMEDY EVENT EVER IN SPAIN - OFFICIAL!!! : Well if you take a comic that can sell out arenas like Madison Square Garden, the Hollywood Bowl, the O2 in London and all of the very biggest comedy venues and arenas across this planet and put him in a wonderful 100 seater venue in central Madrid for 6 nights you have to expect fireworks and that is exactly what we got. Sold out in less than 14 days, before the 500 posters and 10,000 flyers had even arrived, or the big El Pais articles had hit the streets, and the thing we are most proud of, it all happened without ever leaving our own ComedyinSpain network! Whether though our Newsletter the Giggling Guiri Facebook, our Twitter - ﻿@comedyinspain ﻿or Linkedin account you Spain's most qualified Comedy public came from as far apart as Malaga, Galicia and Barcelona. They were special, unique shows as promised and we have all played our part in making a little piece of global comedy history as this remarkable comedian, and individual, will continue on his comedy journey and we expect to see him in Spain next performing in Spanish, so when the Sold out signs go up across Buenas Aries, Santiago and Mexico this little week of history is where that started. Quote of the shows: Several too late disappointed people - 'where was this thing publicised!!!' - hehe!! see y'all in the fall!! Eddie will perform every night at 9pm from April 8 - 13 at central Madrid's newest and coolest 24 hour! bar/venue! There are 2 prices each night for these special shows SEATED and STANDING choose the category you need by clicking on the corresponding image below..
A discounted standing room rate of €18. Please note: We DO NOT ship tickets!!! On receipt of payment, you will receive a Paypal confirmation, print it and take it with you to redeem your tickets which will be available in yor name at the box office on the night! 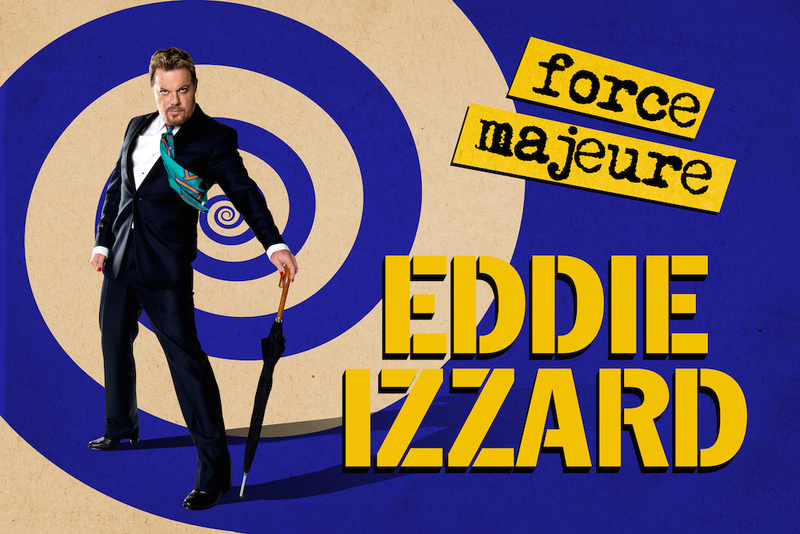 Doors for these Special evenings with Eddie Izzard will open at 20.30 and the show will start at 21.00h sharp! The show will last 2 hours.The bar will be closed during performance.